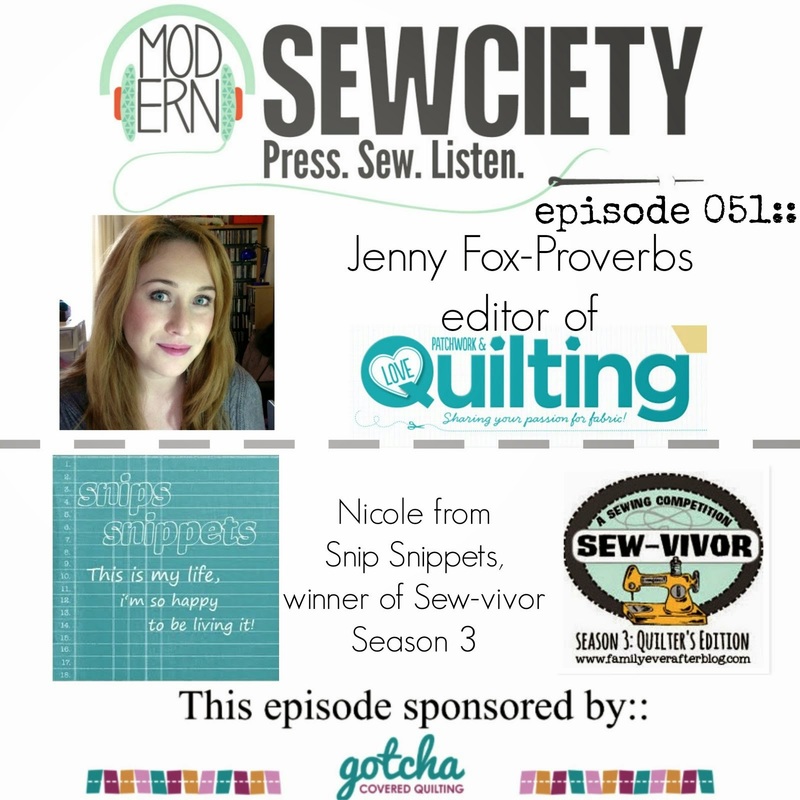 snips snippets: Oh my gosh i finished a quilt!!! Oh my gosh i finished a quilt!!! Ahem, we shall disregard the fact that my last post was in November and just carry on like i've been here all the while. But really, is it just me or is anyone else finding it hard to keep up with social media? I spend most of my time on IG and find i rarely open my laptop to read blogs or even keep up with my own. That being said i love reading others posts when i do go online, i just seem to be having a hard time finding the time to do so, let alone write my own! And i know i'm missing all kinds of awesome out there, and i'm truly scared to open my Bloglovin reader... it has to be high triple digits by now, if not into quadruple digits!! Yikes! How do you all manage your online time? Do you just pop on when you get a chance, or do you set aside a certain time each day/week to getting caught up with online affairs? Should it be this difficult? 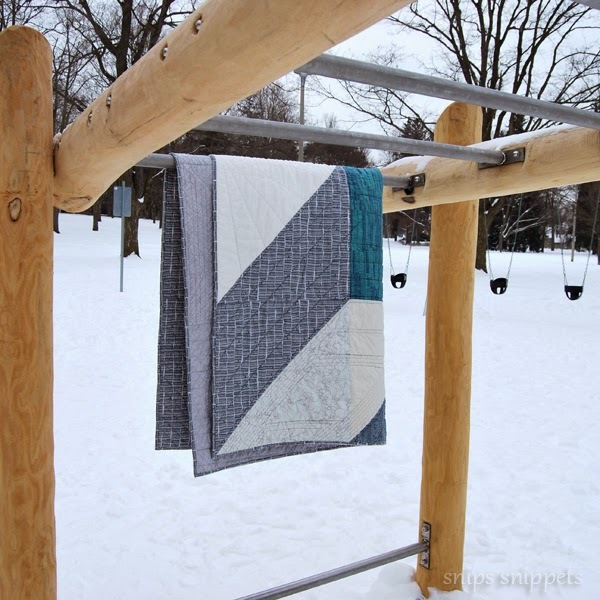 Anyhoo, i'm here with my first quilt finish of 2015. I know right?!! I actually finished a quilt!! And i'm rather in love with it! This was a commission for a new baby and the mom wanted something larger than the normal baby sized quilt. She wanted something that would be able to be used for years to come. So finishing off around 50ish by 65ish i think this fits the bill. This is around the same size as the Penny Patch quilt i made for Max last year and it's the perfect size. Sammy sleeps with it on his bed and we also use it for snuggling on the couch so it's a good size to grow into! The request was for mostly grey, but could also include a bit of teal and/or a buttery yellow. 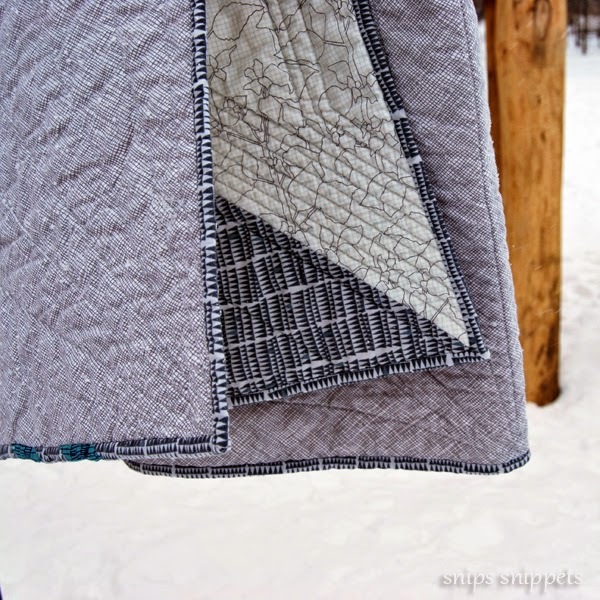 I love all the greys in Carolyn Friedlander's fabrics, i may have a weakness for good greys. This was a quick one to put together, consisting of giant HST's and a few full squares. The circles were appliqued on using the simple sew and turn method, probably my favorite method of applique. For the back of this one i went with the grey crosshatch widescreen and inserted two of my leftover HST's, done and done! 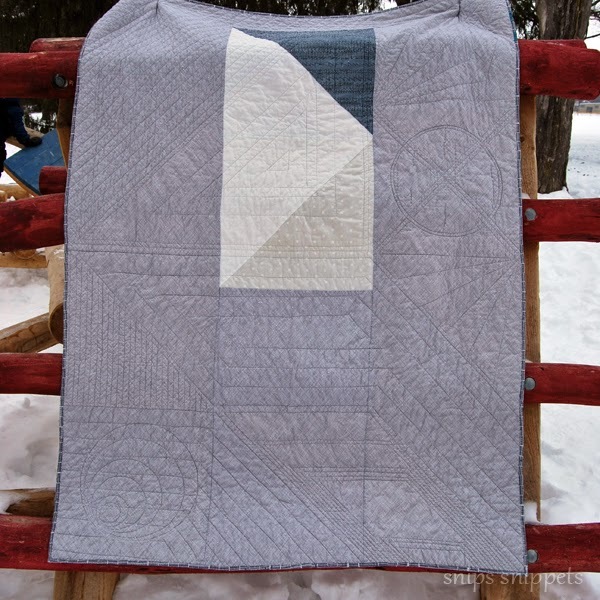 I used the same 50 wt Aurifil in Dove Grey (#2600) for both the piecing as well as the quilting. Definitely my go to grey for thread. And this may just be my favorite quilting to date! I machine stitched around this circle but also put in some lines of hand stitching that are all but invisible, though they do add to the texture of the quilt and were necessary in keeping the circle from puffing up. I chose Sharp in grey to bind with and added in two little strips of the Ladder Lines print in sage for a pop of colour. 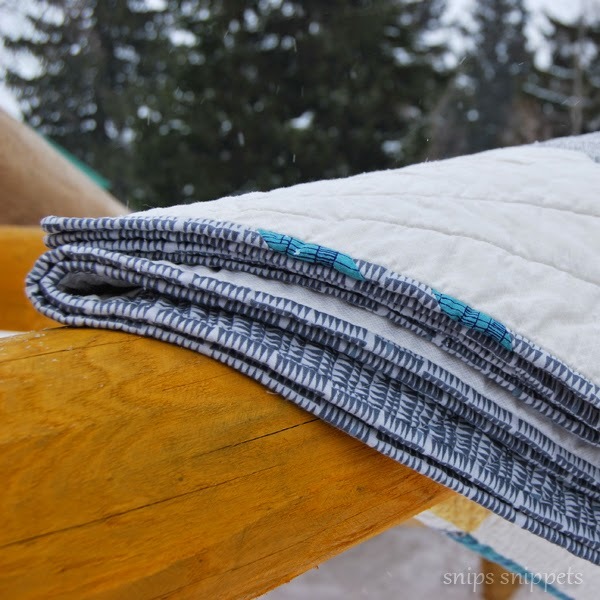 I love the Sharp print so much, that may have been obvious with how many times i've used it in this quilt! High fives for a quilty finish! Getting my link on for the first time in a long time over at crazy mom quilts for finish it up Friday! Yeah, other than falling and getting a black eye, that's pretty much all Max did. Lick snow. Hurray Nicole! 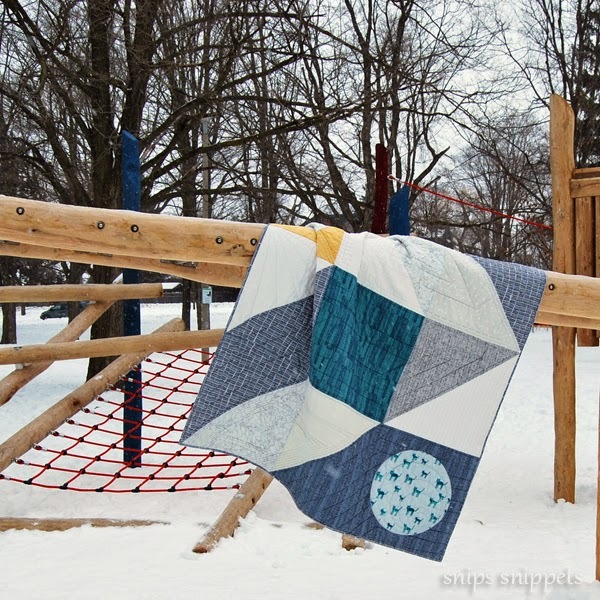 You made such an interesting and modern feeling baby quilt, I love the way you quilted it and the fabrics you chose. The last month or so I've been so busy that it's been easier to keep up with stuff on my phone--except for blogs and blogging. I still try to get to my reader every other day or so and clean out things I'm not interested, open blogs I want to comment on, etc. 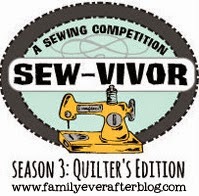 Blogging takes so much time and focus for me lately--away from the sewing I desperately need to get done--that it hasn't been happening much, even though I have lots to share and think about it a lot. I think part of it is just trying to keep up with the kids, feeding them and cleaning up after them. Whew that takes a lot of energy! 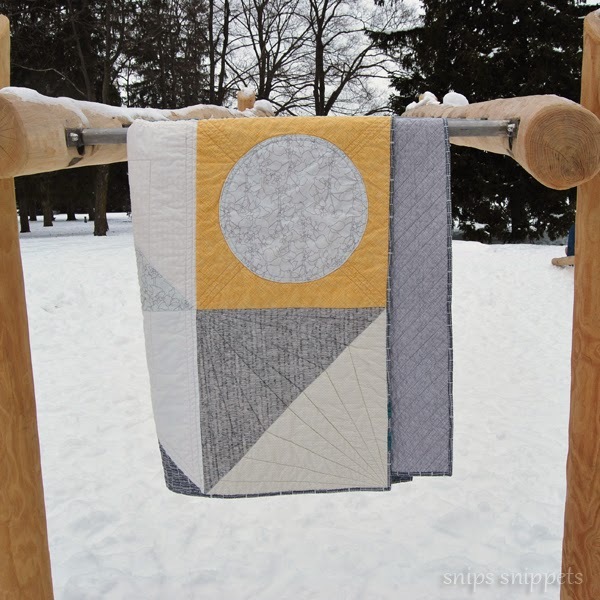 This is a very cool quilt! I want to talk about how much I love this aspect and that aspect, but all I can think is 'This is so cool!'. Love it. Great job. As for keeping up with blogs, I try to keep the number of blogs I follow to around 30. If it starts creeping up, then it's time to cull. I also prefer not to follow bloggers who blog every day - a once a week update is my preference. 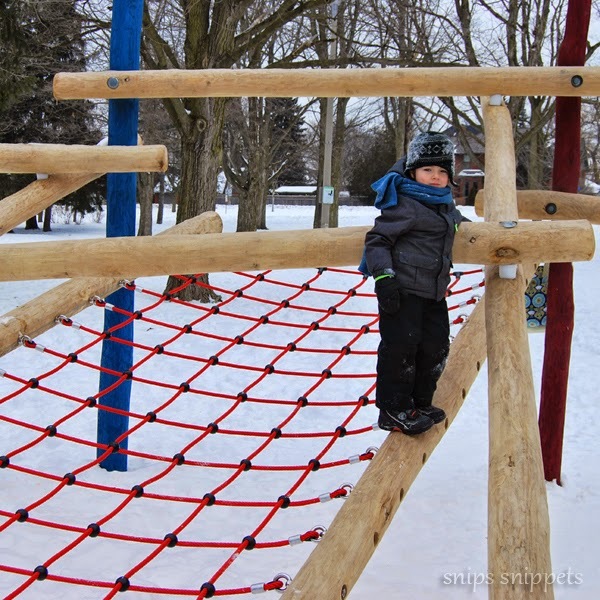 I tend to check my Blogger Reading List daily, I open the new posts, and read and respond to them when I can (sometimes on a different day), that way I keep on top of it. 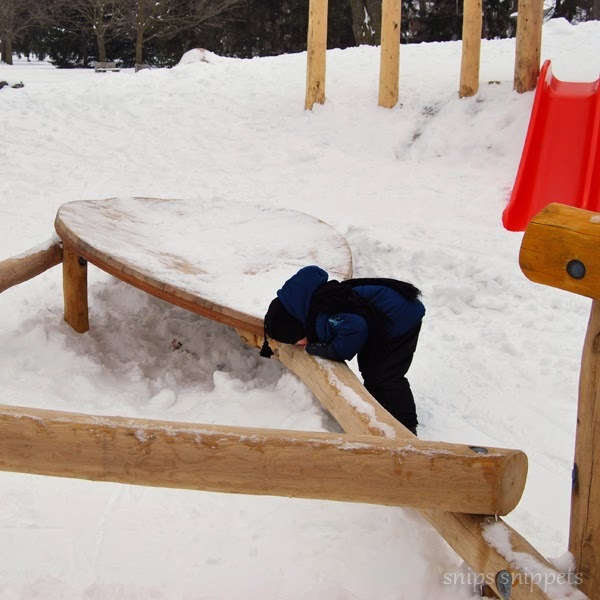 If I have been away for weeks I normally go to each blog I follow and read/skim over the posts I have missed, commenting on the ones that most take my fancy. As for my blogging habits, I definitely don't plan it. I only blog when I have something to say, and a large enough chunk of time to say it in. I also avoid taking on more modes of social media - I am on Pinterest for my own interest, but I don't do Facebook or Instagram, etc. 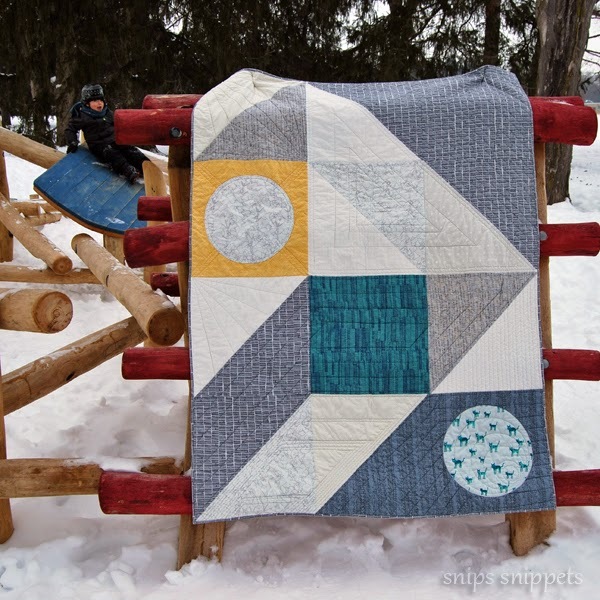 I love everything about this quilt!!!! 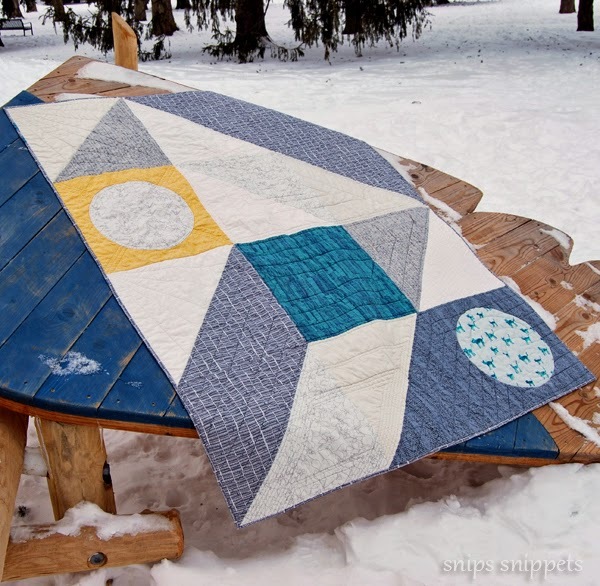 The design, the fabric, and the quilting. It is perfect for a baby quilt and will definitely be a quilt he will never outgrow!! The time I used to use for blogging/reading blogs is now being spent on IG. I keep up with people on IG and will read a post if one of my beasties let me know on IG that they have written a post :). I have found that a lot of people who used to blog and are now on IG don't blog any more. It is kind of doing the same thing twice and who has time for that!?!? I love the fabric choices, particularly that one circle of tigers. The quilting is so awesome- I need to push my boundaries more! And I, too, find myself always on Instagram theae days. I try to blog once a week but it can be really hard so I make an effort to hit a Friday for Finish It Uo Friday if know I'll have something done, or a Wednesday for WIP Wednesday. I think especially us both being moms with young kids, Instagram is more practical for time commitment. I love the grey too. 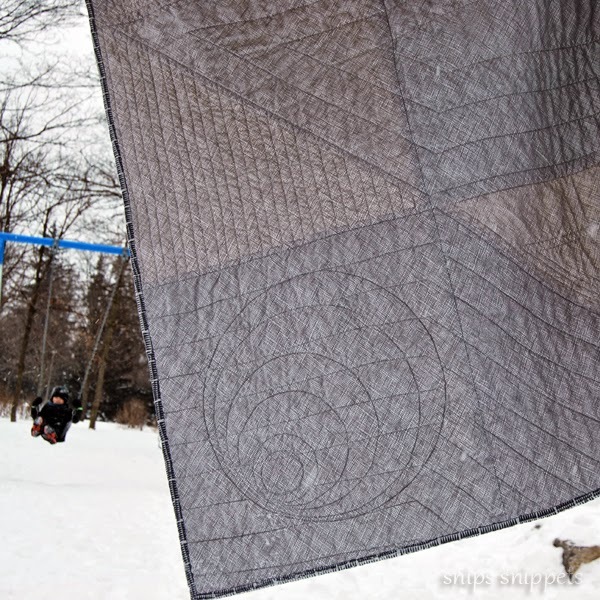 Interesting design and great quilting! Great finish!! As long as you're doing stuff that makes you happy, doesn't matter how often you post. Gorgeous - love the yellow with all that blue grey! 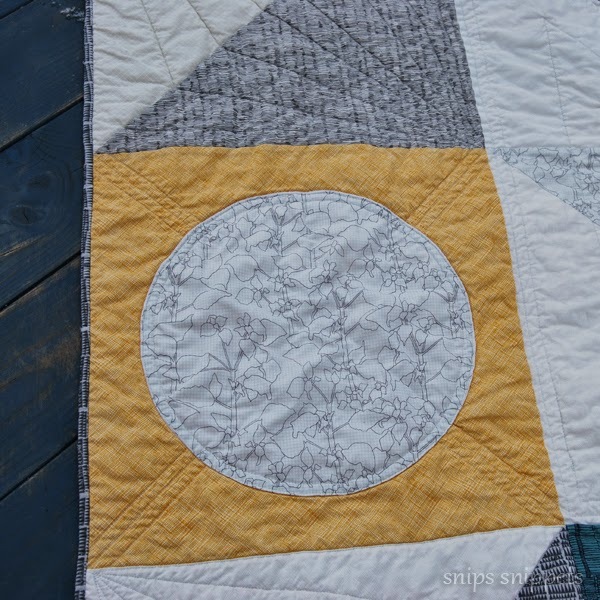 Really like the concentric circle quilting too!